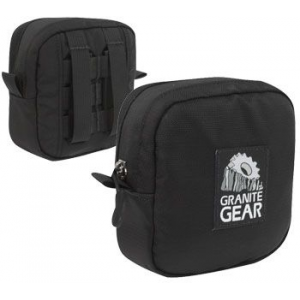 Camera pouch which can be mounted on your belt or the shoulder strap of your rucksack. A brilliantly practical device which allows one-handed access to your camera. 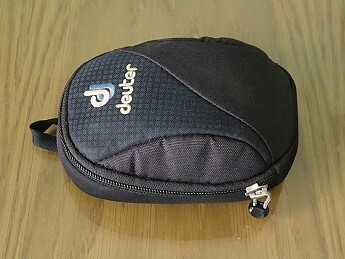 The Camera Case III is the largest in a series of camera pouches produced by Deuter. It is a wonderfully practical means of keeping your camera handy while walking. You can wear it on your belt or on the shoulder strap of your backpack. I keep mine on my left shoulder strap as shown below. The zipper is on the right, so I can open the pouch and take out my camera very quickly and easily using my right hand. The pouch measures just under 6 by 4.5 inches externally. 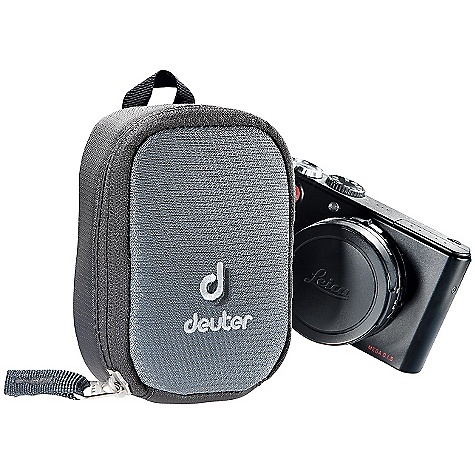 Its internal dimensions are approximately 4.5 by 3 inches, so it it strictly for compact cameras. 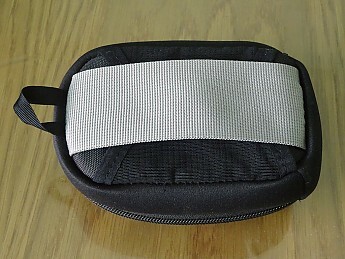 On the inside of the pouch there are three small mesh pockets which can take spare batteries and memory cards. 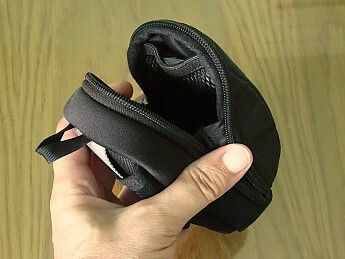 The upper mesh pocket is visible in the photo below. The other two are side by side below it. 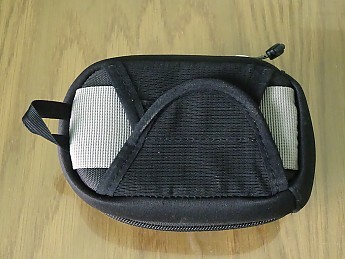 What makes this pouch so good is the mounting system on the back. There is a vertical grey nylon band through which you can thread a belt. 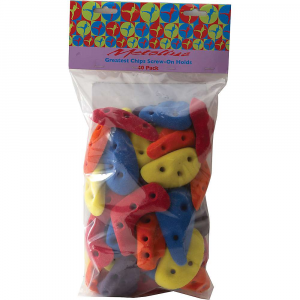 There are also two flaps which fasten together with velcro (hook and loop) strips. 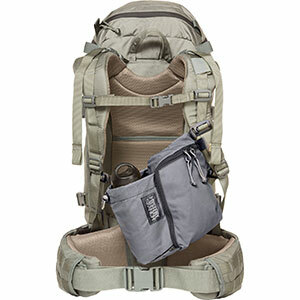 To attach the pouch to your backpack, simply pass the flaps round the shoulder strap from each side and fasten them together. 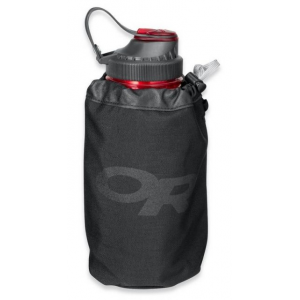 You can attach the small loop on the top of the pouch to a carabiner clip on the shoulder strap to make sure the pouch won't slide down or fall off in case the flaps get loose. To attach the pouch to your belt, simply tuck the flaps under the grey band. Brilliant. The only downside to this pouch is that it is not waterproof, so if it rains you would have to detach it and put it inside your backpack—unless, that is, you have a waterproof camera. 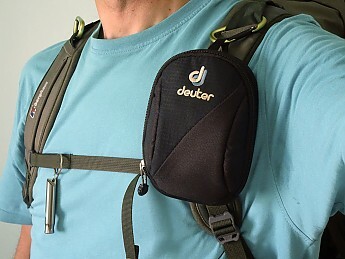 Sadly, it seems like Deuter no longer makes these pouches. They are still on sale from the Amazon UK website, but I have not found them anywhere else. Thanks for the review, Charles! 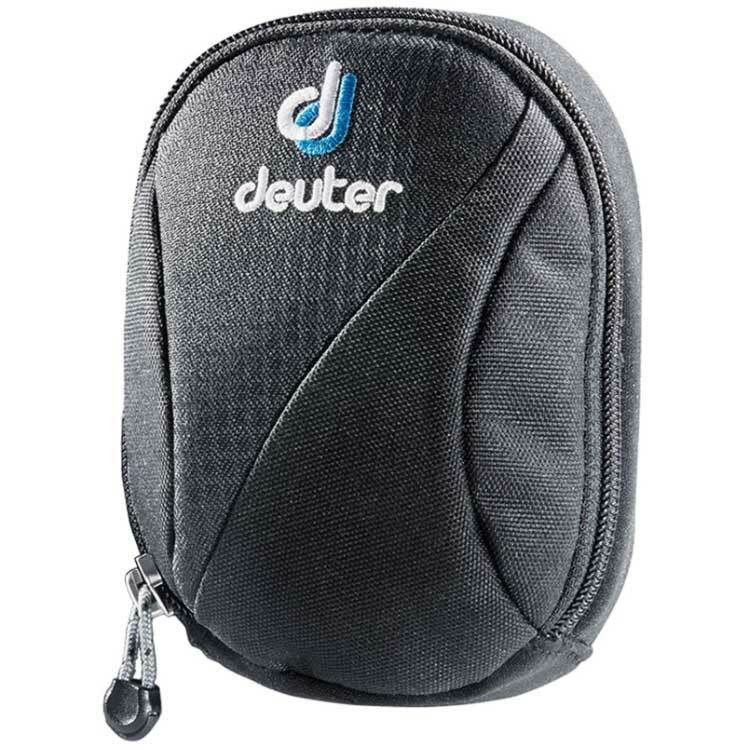 The Deuter Camera Case III is not available from the stores we monitor.